The yen is exceptionally strong in the wake of the US Fed's failure to implement a rate hike, Brexit and other factors; Japanese authorities have concluded that the bullish performance of the nation's currency is economically detrimental and indicated that they are considering countermeasures. One Yen Company: Myth or Reality? Kristian Rouz — Japan's government and monetary authorities have recently acknowledged the adverse effects of the yen's appreciation against the dollar, as the currency's FX rate dynamics affect the domestic retail and manufacturing sectors as well as exports and inflation, resulting in weaker growth prospects. Essentially, a weaker yen could lead to economic expansion and boost Japan's competitiveness in international markets, but the currency's safe-haven status, coupled with the high level of uncertainty in global markets, have indirectly weighed on Japan's growth outlook since early 2016. Finally, after the indecisive meeting of global central bankers in Jackson Hole, the Japanese authorities provided clues as to what they'll do moving forward: introduce more stimulus. Japan has been exercising negative interest rates policies (NIRP) since February in order to divert investment flows from prime financial market segments into the real economy. However, the massive influx of foreign money into the currency market, which has sent the yen soaring, has offset the possible upsides of NIRP, disrupting he Bank of Japan's (BoJ) policy of transmission to the ground level of the nation's productive forces. Subsequently, Japan's government and the BoJ are leaning toward even more consumer-targeted stimulus, which will likely be "helicopter money". "The Ministry of Finance, the Financial Services Agency and the BoJ now hold regular meetings on markets," Japanese Chief Cabinet Secretary Yoshihide Suga said on Tuesday commenting on the prospect of governmental interventions into the currency market. The authorities are prepared to act "appropriately," Suga added. In 2Q16, Japan's economy faltered and nearly stagnated, and an acceleration in this quarter is likely to be very limited, as the broader situation suggests little improvement on the macro side of things. Sticky low inflation, billions of dollars lost in the exports squeeze, cheap commodities and weak retail sales have hindered the outlook on growth. Wider monetary stimulus measures would hardly work, as evidenced by the largely inefficient NIRP experience. The government has little options, one of these being "helicopter money" — targeted liquidity injections aimed at propelling consumer spending to a high-enough level for a liftoff in broader growth. Another option is fiscal stimulus, which Prime Minister Shinzo Abe pledged to push through regardless of the 400 percent debt-to-GDP ratio and possible credit rating downgrades. "The BoJ decided to expand purchases of exchange-traded funds (in July). Shortly after that, the government announced its economic stimulus package," Suga said. However, the Japanese authorities have a limited vision of the helicopter money mechanism, Suga outlined, having added that a combination of fiscal and monetary policy steps should aim at overcoming deflation, but the BoJ can ultimately implement any policy they please as the government has little to do with setting the course of monetary policy. "I'm confident that we will see results if the government and the BOJ coordinate policies," Suga noted. The Jackson Hole meeting, on its part, resulted in the Japanese being even more than previously convinced of the necessity of implementing more easing. Hopes for a negotiated global monetary solution to the stagnant growth have evaporated, leaving each economy to fight for their own well-being. The yen is now trading at 102.34 yen per 1 dollar as the greenback rallied due to Fed Chair Janet Yellen's bullish stance on policy. 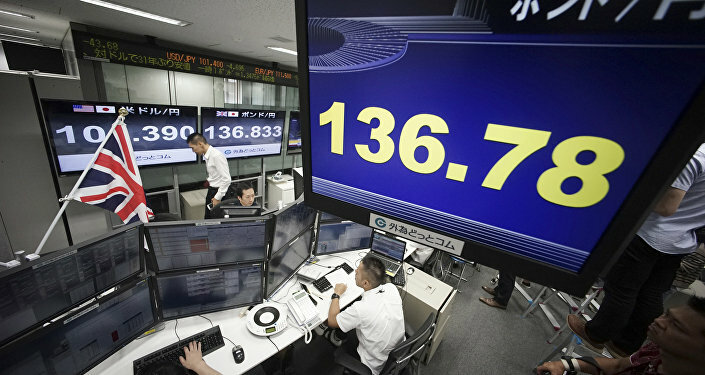 The yen is still up 18 percent thus far this year, and despite the nation's exposure to multiple risks, including natural, financial and economic ones, the currency is being bought into by investors. "We're still comfortable with a move higher in the yen," Mitul Kotecha of the Singapore branch of Barclays said, also noting that his anticipation is 87 yen per dollar by late 2016. "This is more of a yen move than a dollar move, for us…and it's hard to see what policy steps the BoJ can enact now to weaken the yen." Uncertainty rules supreme across the advanced nations' financial markets, and the following thee week might see substantial economy shifts, particularly in banking. The Federal Reserve and the BoJ ae both holding policy meetings on 20-21 September.